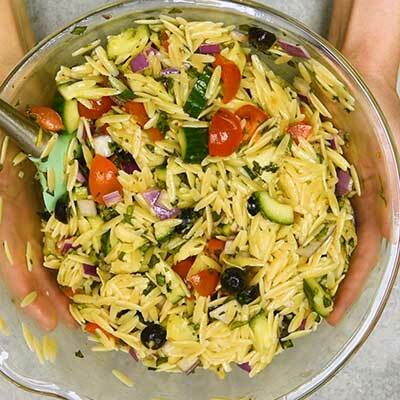 This classic orzo pasta salad is a colorful mix of fresh chopped veggies with tender orzo pasta and coated in a flavorful homemade lemon-dijon vinaigrette. 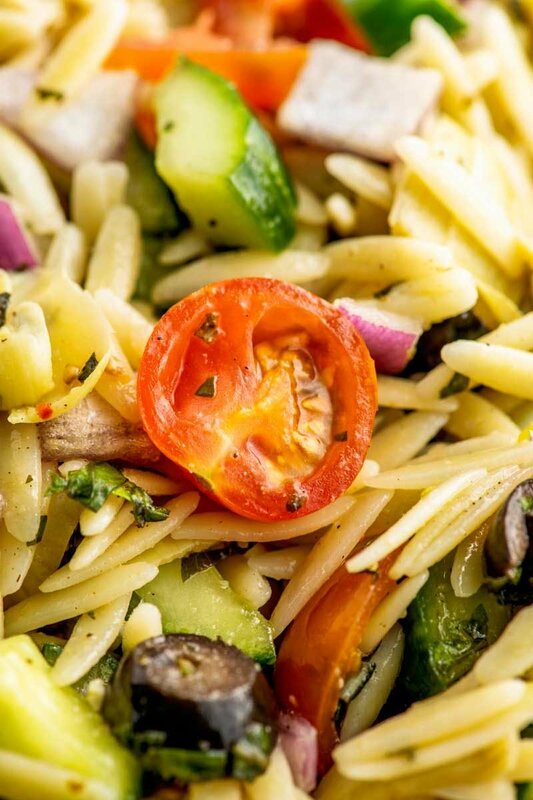 Pasta salads come in all sorts of varieties, but one of my absolute favorites is orzo pasta salad. 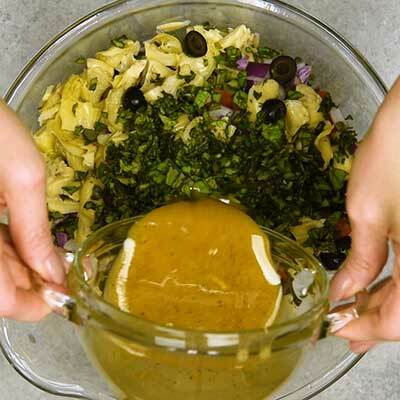 Because not only does it have tender orzo and a classic-style vinaigrette, but it’s ideal for preparing in advance and travels well, making it a great pick for potlucks or parties. 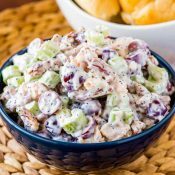 It’s one of my favorite dishes to bring (or prepare for my own house parties) when we’re in need of a tasty side dish. 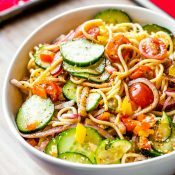 Orzo pasta. 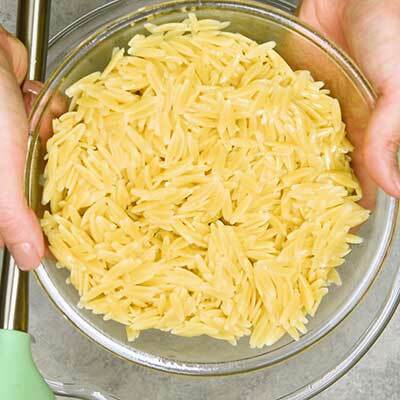 This is a small-cut pasta, shaped like a large grain of rice. 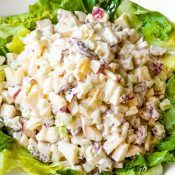 A light dressing. 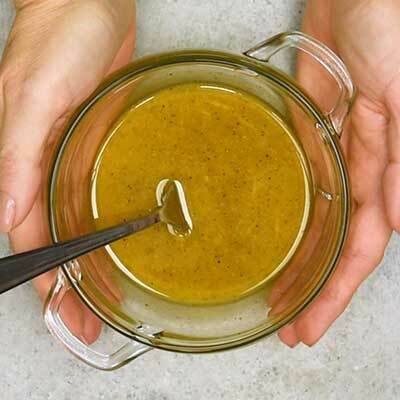 Typically this is a vinaigrette, but I’ve also seen creamy dressings used. 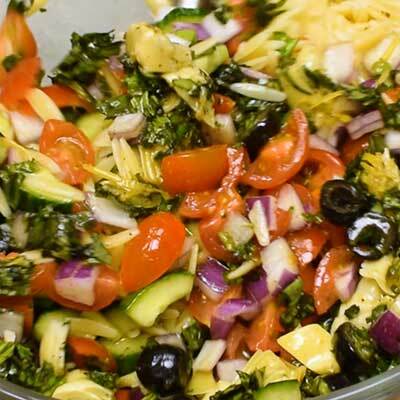 Fresh cut veggies with a Greek or Italian flair (like artichoke hearts, olives, etc). 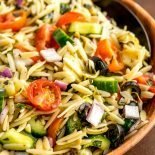 While orzo and rice have a similar shape, size, and even some ingredients, they do still have their own characteristics. 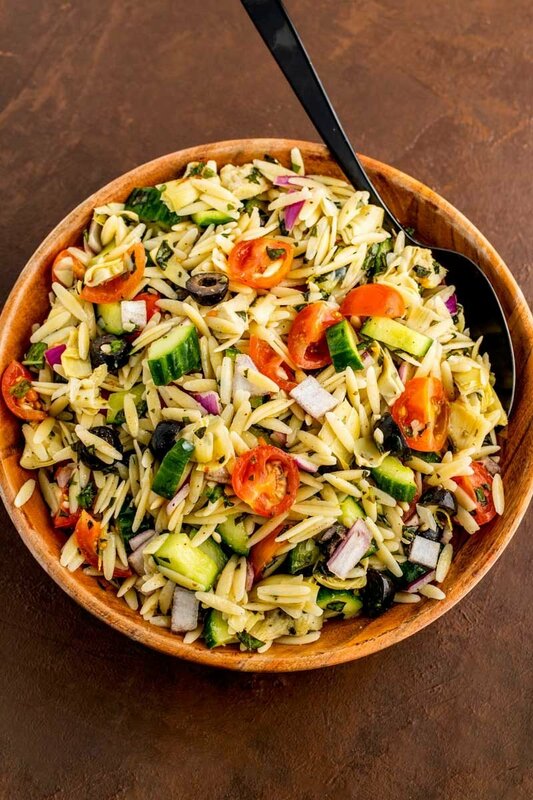 For example, rice tends to have a certain “firmness” even once cooked, while orzo is merely rice-shaped pasta and will be just like pasta once cooked (softer, bendable, etc). 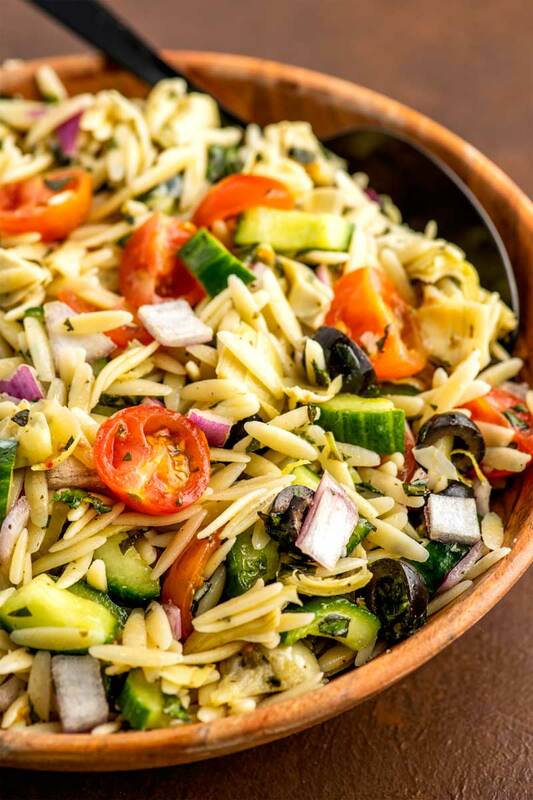 So, basically, both orzo and rice are oval-shaped and mild-tasting, making them “similar enough” to be interchangeable – so long as you’re okay with both of those differences in your dish. 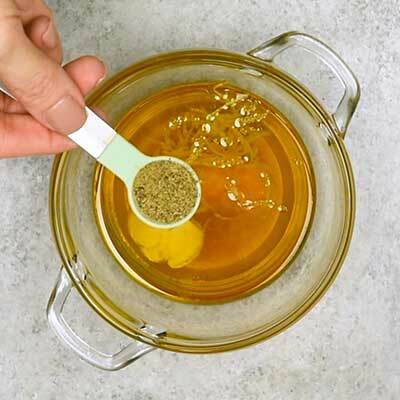 And if you’re making an ingredient swap, you’ll need to take into consideration cooking time, especially if the rice or orzo is cooked within the dish and not prepared separately to be mixed in later. 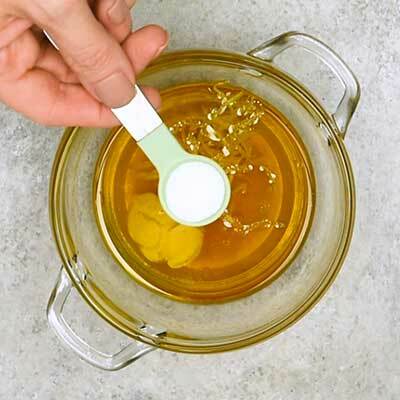 Not all substitutions work, and depending on the type or brand of orzo or rice, the differences in cook time may be off enough that it would be better to stick with the intended ingredient. 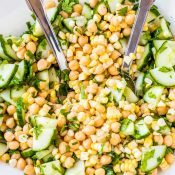 Can you make orzo pasta salad in advance? 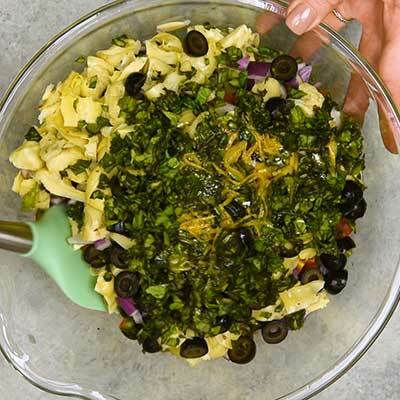 In fact, this pasta salad will taste better if given the chance to marinate for a few hours, especially overnight. 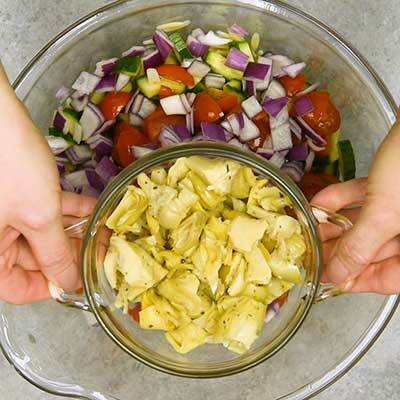 Once prepared, this pasta salad will remain good in the refrigerator for two to three days. 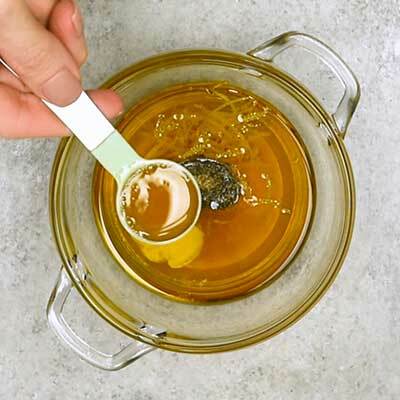 If you don’t already have one, you’ll need an extra large bowl to mix all of the ingredients together. 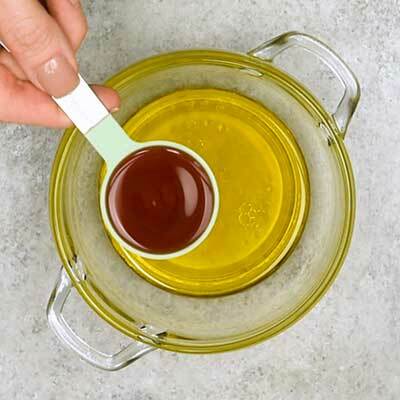 Step 1 – In a small bowl, add the extra virgin olive oil, lemon juice, red wine vinegar, Dijon mustard, lemon zest, honey, salt, and pepper. 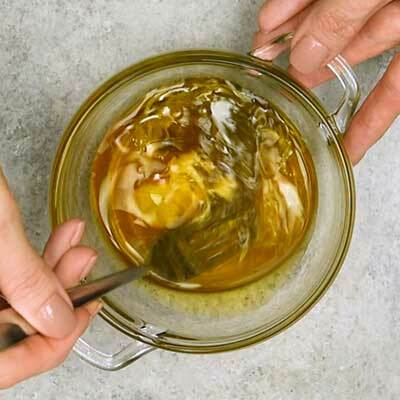 Whisk the ingredients together until incorporated, then set the bowl aside. 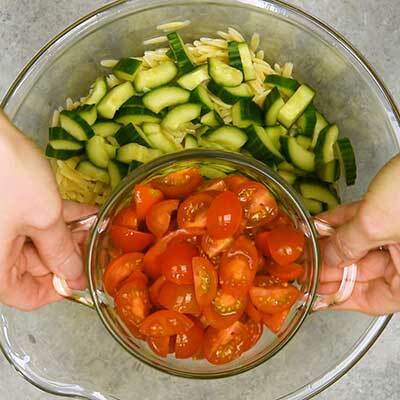 Step 2 – Prepare orzo per package instructions, rinse with cold water, then place in a large mixing bowl. 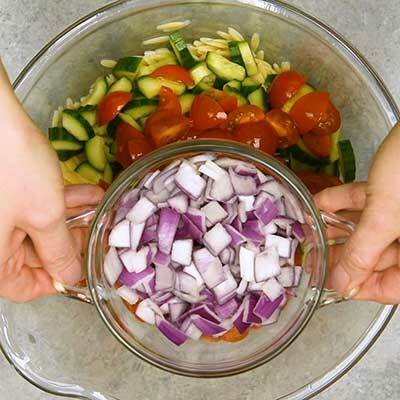 Step 3 – Next, add the cucumber, cherry tomatoes, red onion, artichoke hearts, olives, and basil to the bowl with the pasta. 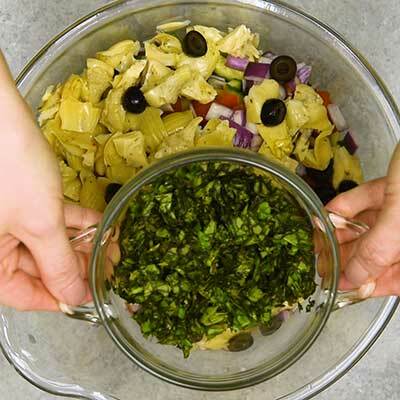 Drizzle the prepared dressing on top, then use a spatula to gently toss to mix and coat all of the ingredients. 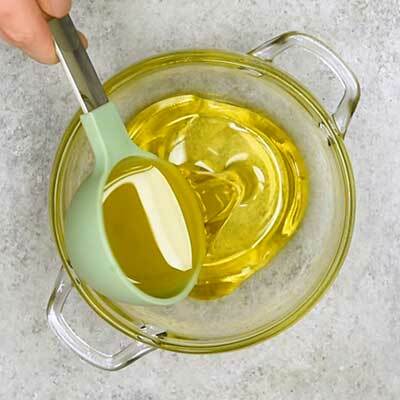 In a small mixing bowl, whisk together extra virgin olive oil, lemon juice, red wine vinegar, Dijon mustard, lemon zest, honey, salt, and pepper, then set bowl aside. 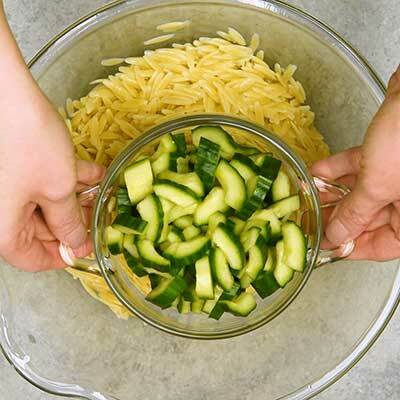 In a large saucepan, cook orzo per package instructions. 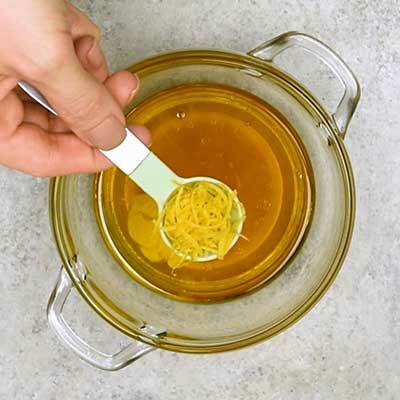 Drain pasta and rinse with cold water. 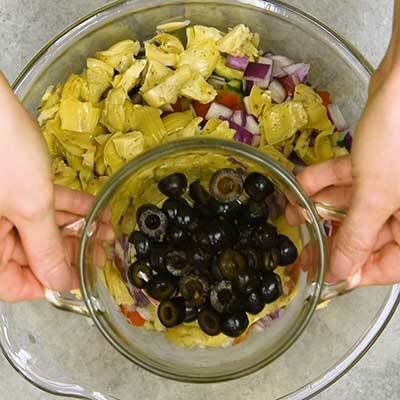 Place pasta a large mixing bowl, then add cucumber, cherry tomatoes, red onion, artichoke hearts, olives, and basil. 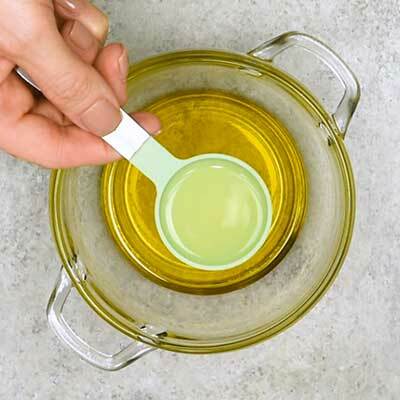 Pour prepared dressing on top, then toss to mix and coat ingredients. 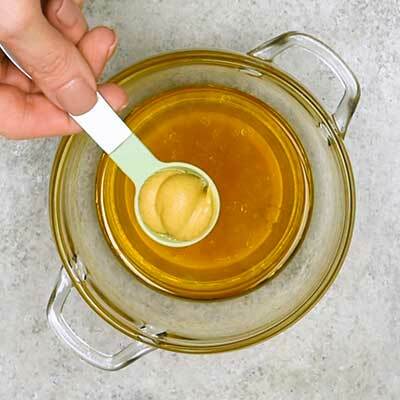 Serve immediately or chill for 1 hour, then serve.